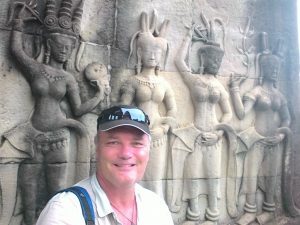 Visiting Cambodia for the first time, our impressions of Cambodia revolved mainly around the people. 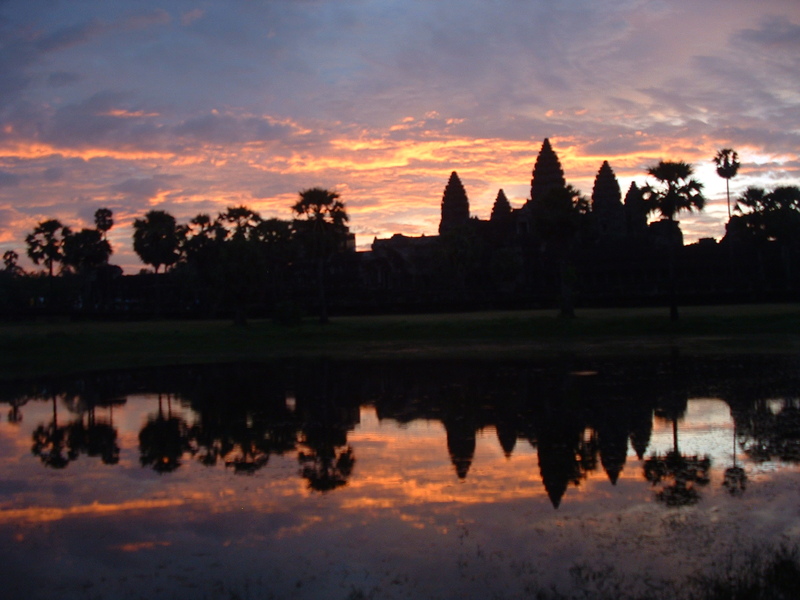 It was plain to see that more than anything else, the beauty of Cambodia lies in its people. 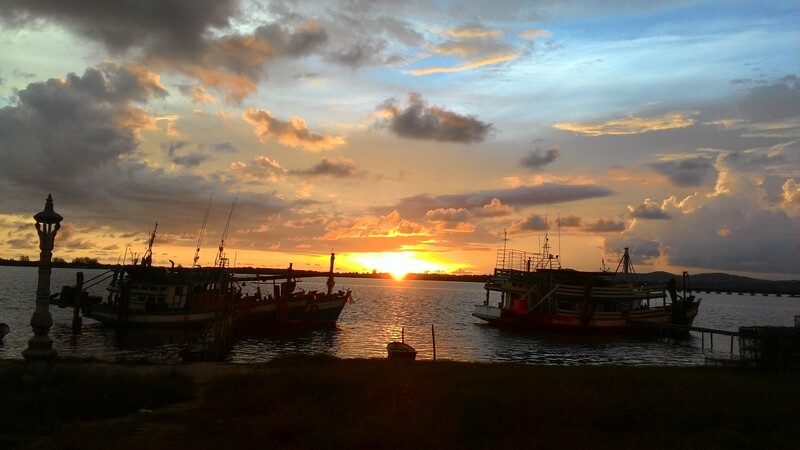 We first experienced Cambodia by entering the country from Thailand at the Hat Lek border. 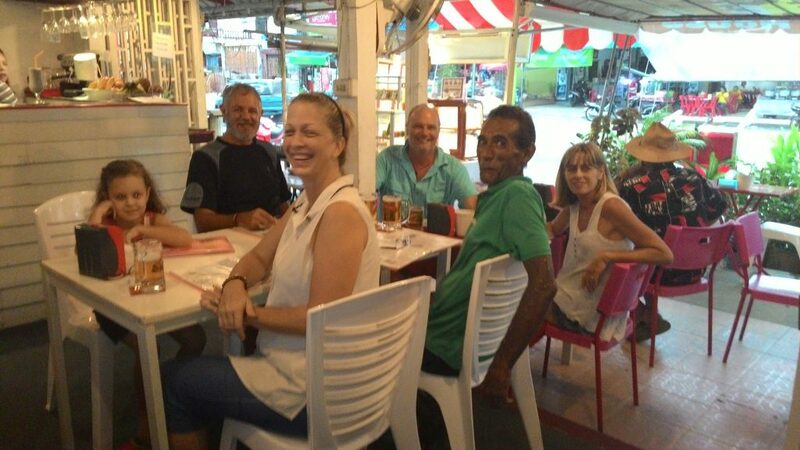 In the first small town of Koh Kong, we met up with fellow South Africans Nico & Sonette Millen, their daughter & friend Craig Small. 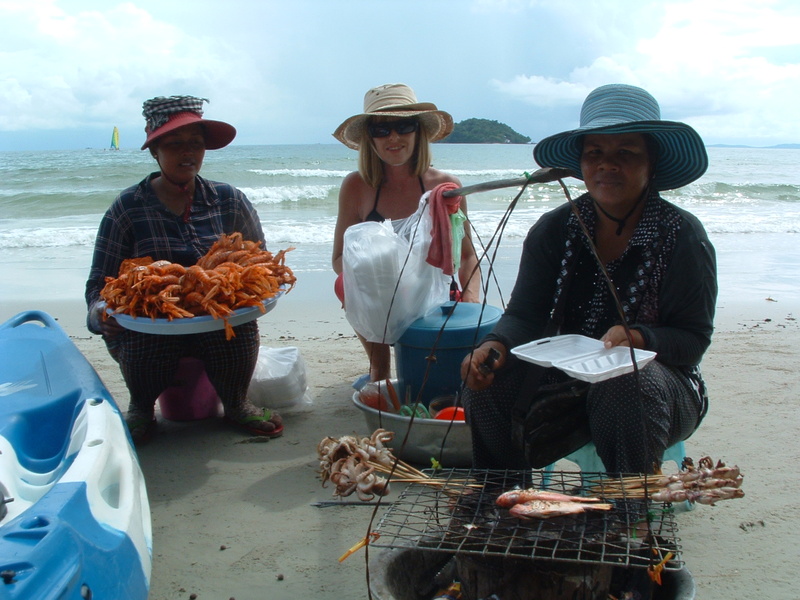 Nico & Sonette have their roots in teaching English (TEFL) in Thailand. Sonette still teaches online. 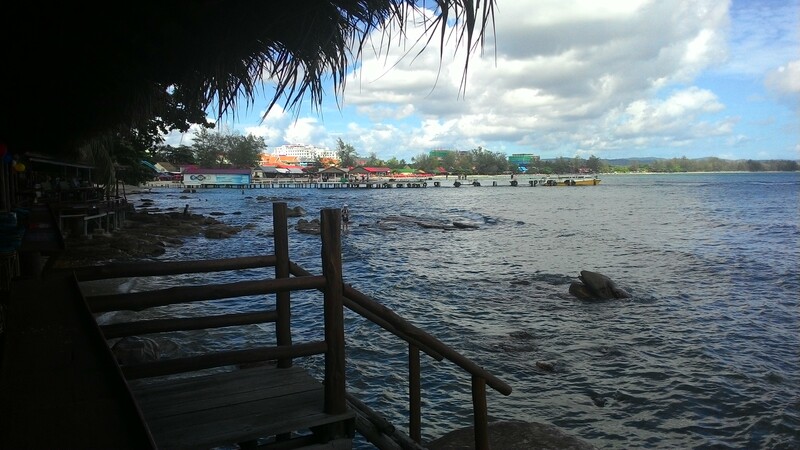 See TEFL in KOH KONG. 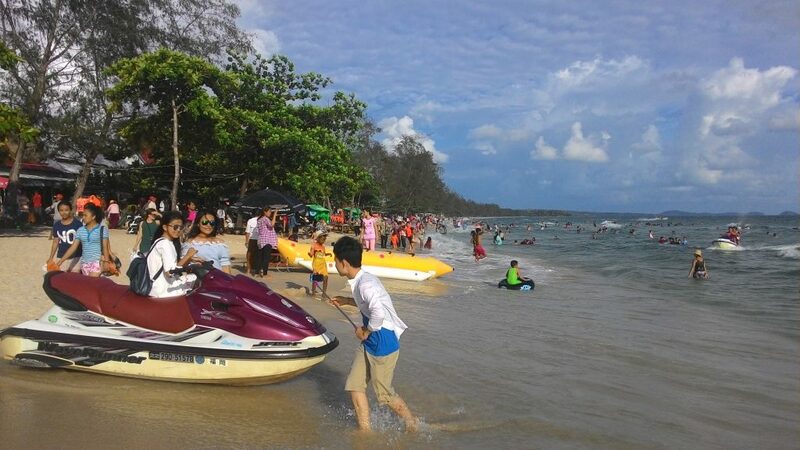 Nico has aspirations of putting Koh Kong on the map with his tours venture, Triple “E” Adventure Eco Tours. Check out Nico’s Facebook page here. Real South Africans making new tracks wherever they go, so watch this space for new ventures in Koh Kong, Cambodia. From there we traveled down to the beach town of Sinahoukville. This is a thriving & bustling hive of activity and there are many foreign tourists as well as expats. The city has many buildings being developed. It seems that there is a tourist boom set to explode there shortly if it is not already so. Unfortunately the impression we get is that this town is being overrun by Americans. 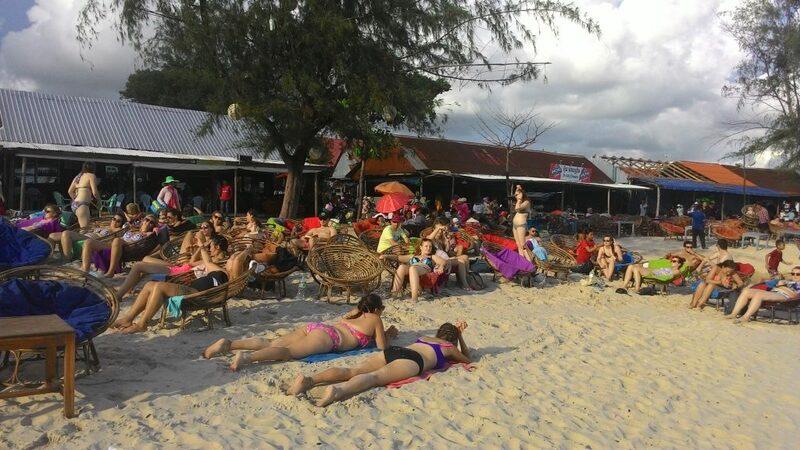 Mainly the kind who want to bring America to this lovely, Cambodian beach town. Basically converting it into yet another Americanized tourist venue. Casino’s & resorts popping up everywhere. Pizza & burger joints. Sad really. 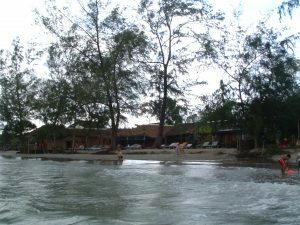 We stayed along a small stretch of beach called Otres Beach which had a nice laid back atmosphere. However, our impressions of Cambodia were not complimented by this “resort”. We did not enjoy the accommodation. 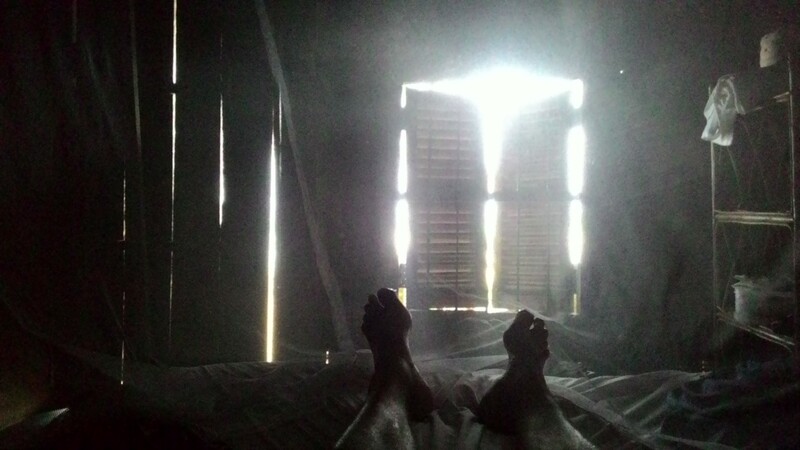 A dilapidated shack, with shutters not working, mattress like a hammock, fan that barely worked, mosquito’s in full attack mode & ridiculous food prices. A Pseudo “living on the beach” experience. Would have been nice if not run down with nothing functioning as it should. But this was a sleepless night. Being avid bikers as well as 4×4 enthusiasts, we know how to “rough it” but this was an excuse for absolutely no maintenance so we packed it in and left after a day. 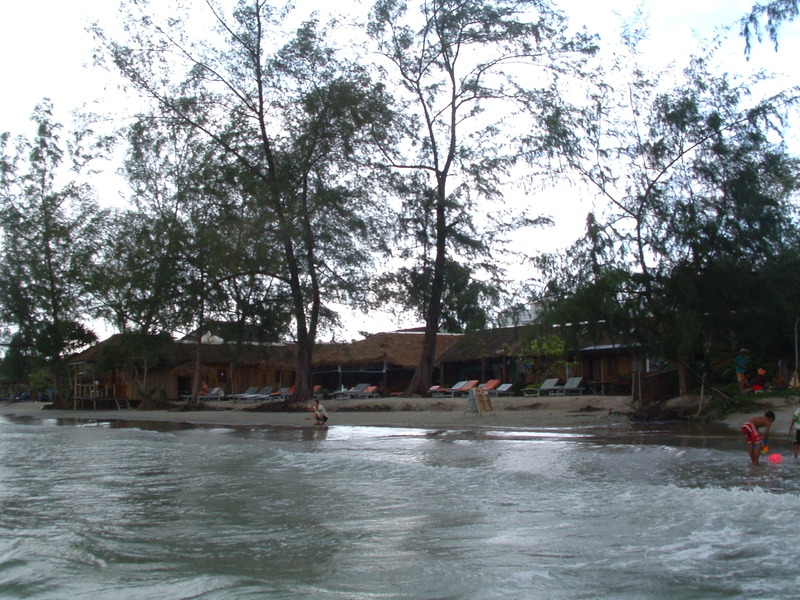 We have experienced way nicer rustic places on islands in Thailand, where comfort is still within acceptable levels. For our next leg, we booked a minibus to Phonh Penh and then a sleeper bus to Siem Reap. We did a fair amount of research online, as to which companies to use in Cambodia when it comes to travelling by bus. Having read many horrors stories, (read here) we are suspicious of bus travel in South East Asia, especially in Cambodia. The company we decided on was Giant Ibis. They are more expensive than some of the cheaper options, but if you do a google search, you will see that there are some hair raising stories we tried to avoid. The stretch from Sinahoukville to Phonh Penh was by comfortable mini/economy bus, while the stretch from Phonh Penh to Siem Reap was by sleeper bus. The sleeper bus has flat beds on two levels. Being 6 ft 4, and able to stretch out straight on a bus is an achievement. We had some much needed sleep. The only problem is always that these buses tend to have no regard for where they drop you off. No matter what they tell you when they sell you the bus tickets. Which means you cannot plan ahead and are left for the sharks when you arrive somewhere outside town. Then you first need to orientate yourself & figure out where you are so that you can decide where you will go, if you have not yet booked. With bus arrivals, we are constantly hassled by touts who pretend to work for the bus company (and probably do), but are trying to convince you to sell overpriced Tuk Tuk rides as always an irritation. After ignoring their $4 to $5 speaking with a local expat who happened to arrive at the bus station by Tuk Tuk, we asked him and he confirmed the price we had suspected, a $2 fare to get from the station to our Siem Reap Hotel which we had just booked while waiting at the bus station. We were on our way to a great few days in the wonderful town of Siem Reap. Our impressions of Cambodia were wonderful in the town. From here we were set to explore the ancient City of Angkor ruins and further cement our impressions of Cambodia & great Khmer people. Magnificent carvings. 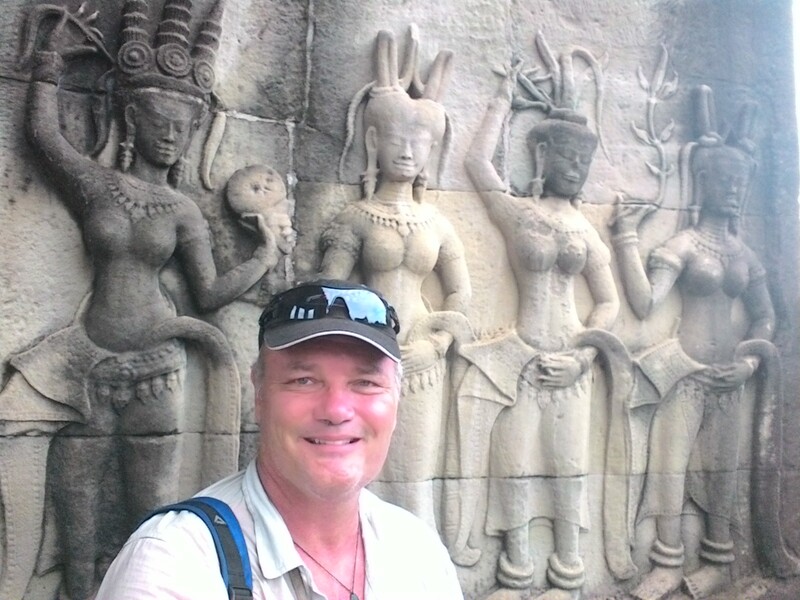 The ancient ruins of Angkor.